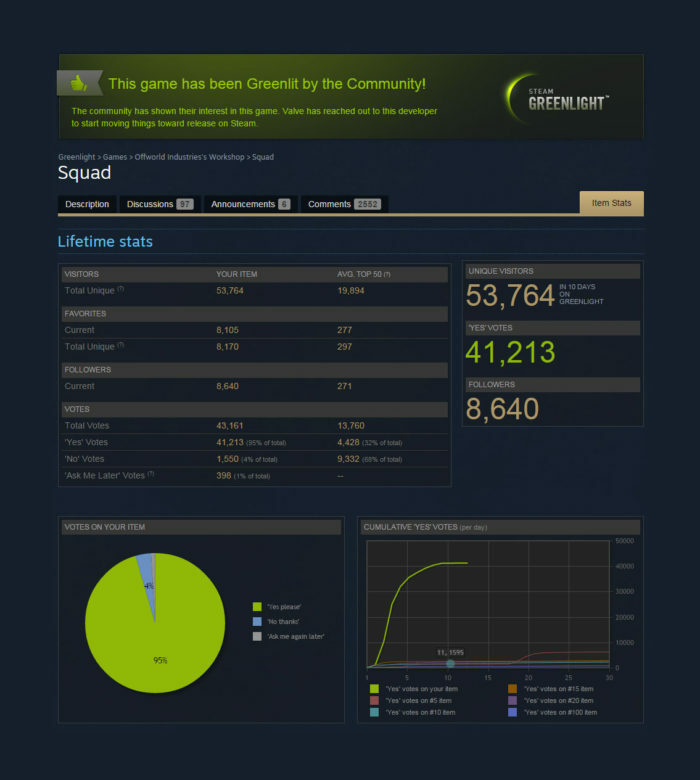 Squad is now Greenlit! : Squad – Communicate. Coordinate. Conquer. We would like to thank the massive outpouring of support from the wider gaming community as well as our long time fans in getting us one step closer to releasing on Steam. All 41,213 of you! votes, meaning that there most certainly is a demand for the kind of gaming experience only Squad can offer. In other news, earlier in the week we had an interview by the wonderful people at Battlefield Podcast, both the interview and highlights from the gameplay stream following are available below on our Youtube page. The full gameplay stream can be viewed on the Battlefield Podcast Youtube page.